As an existing customer of TOCT, each qualify to receive an automatic $300 Discount off the Base Wholesale price of your next TOCT Trailer purchase. As an existing customer of TOCT, you will receive an automatic $150 for a Referral when that person purchases a TOCT Trailer - and a $150 Discount off the Base Wholesale price will apply to that customer you refer. Designed for hauling Cars, Snowmobiles, ATV's, Motorcycles and personal belongings. Built for Strength, Durability and Safety. 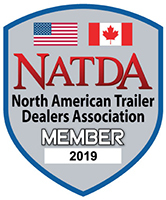 Premium Enclosed Trailers designed for Strength, Durability and safety in hauling Classic Cars, Trucks, Snowmobiles, ATVs, Motorcycles, personal belongings or helping your business succeed.